. 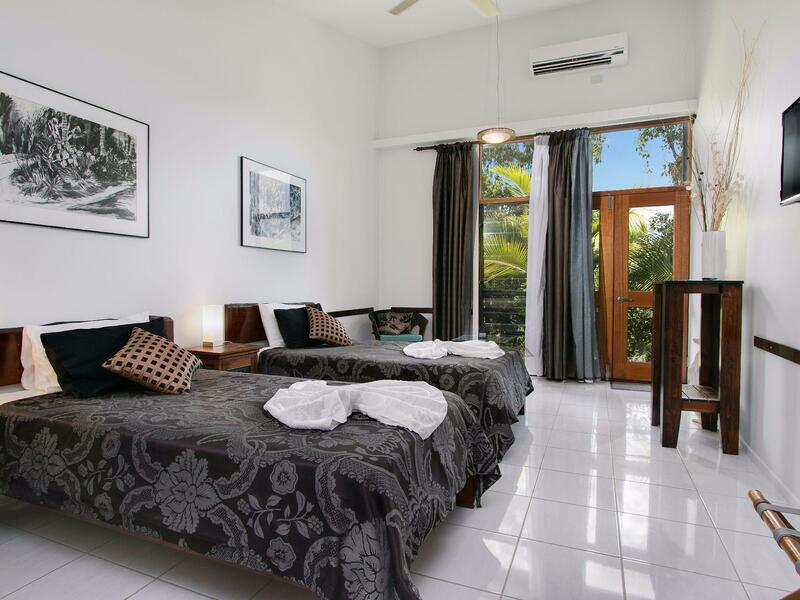 كما يقدم Daintree Wild Bed & Breakfast الكثير من الخدمات لإغناء رحلتك في المدينة. يمكن الاستمتاع بمجموعة من الخدمات على أعلى المستويات في الفندق كمثل أمن على مدار 24 ساعة, خدمة التنظيف يوميًا, متجر هدايا/تذكارات, خدمة غسيل ذاتية, تسجيل وصول/تسجيل خروج خاص. في الفندق غرف نوم يتجاوز عددها 7، كلها مجهزة بعناية وجمال وبعضها مزود بـ تلفزيون بشاشة مسطحة, بياضات, مناشف, اتصال لاسلكي بشبكة الإنترنت (مجاني), غرف لغير المدخنين. إن حمام سباحة خارجي, حديقة هو المكان الأمثل في الفندق للاسترخاء وتفريغ طاقتك بعد نهار طويل. 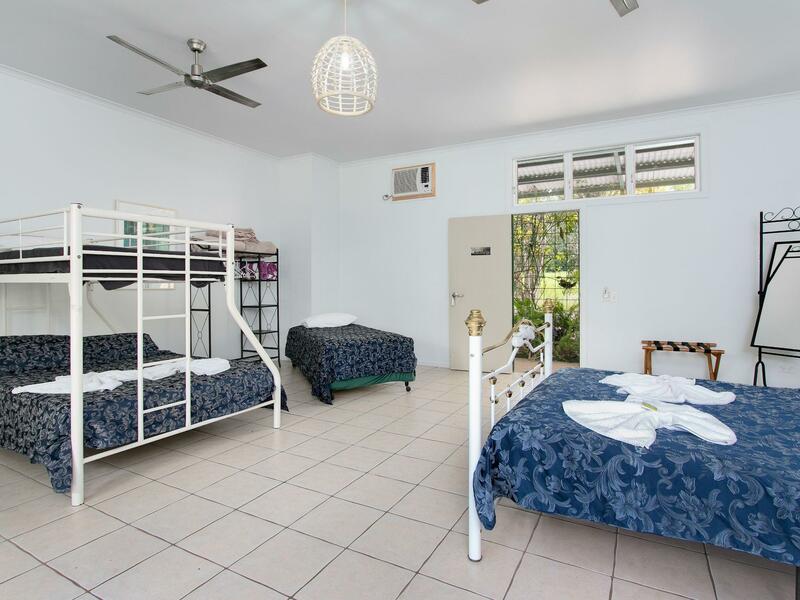 إن Daintree Wild Bed & Breakfast هو مكان مثالي للمسافرين الذين يتطلعون إلى الراحة والاستجمام في المدينة. Lovely hosts totally unique zoo experience at your doorstep. The $18 per person unlimited zoo entrance fee was well worth it and we enjoyed lovely a.m. strolls around the property escorted by friendly resident kangaroo. The location ideal for getting into the Daintree rainforest a little closer to the ferry than Daintree Village but from either you need to do ferry crossing daily $16 each way or $58 for unlimited. 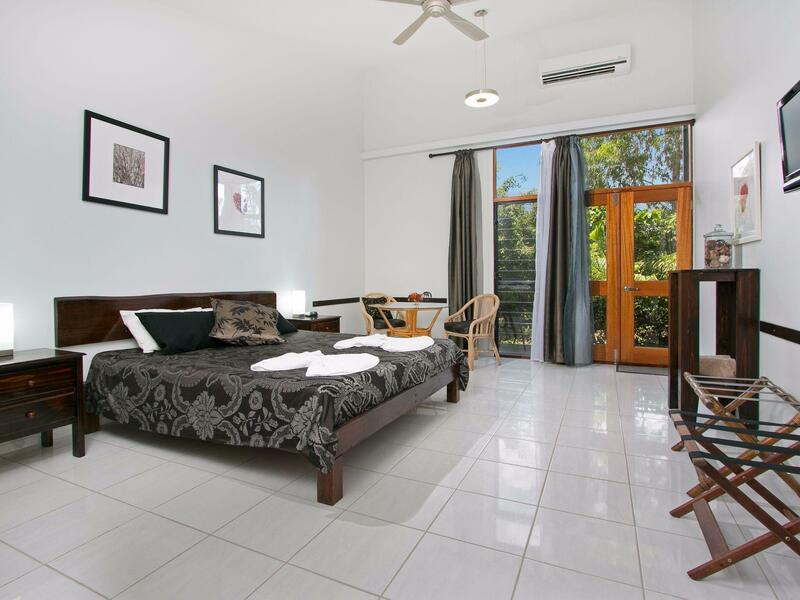 Best dining options for dinner Daintree Village (before 8pm) or 30 min south in Port Douglas. On your return from dinner you are greeted by a cheerful cockatoo ”doorbird”. We stayed in The Aviary overlooking the zoo and the room was clean spacious for our group of 3 but bathroom is in a cove but no door. We did have Wi-Fi in our room which was important to our daughter who was studying and no Wi-Fi past the river crossing. Bruce belcher croc river cruise was also well worth it and all the hikes along the journey to cape Tribulation are worth a stroll we saw 3 Cassowaries ! Their advertising states there are lots of "in-room" facilities. Not true. No coffee-making facilities, no utensils, no in-room wifi, no fridge, no privacy. Had to share a tiny kettle and a fridge outdoor with 2 other rooms. The communal bathrooms had a grotty look about them. Aircon was old and noisy. The pool was murky and we didn't dare to swim in it. But the biggest shock was hearing on arrival that we'd be staying within the zoo area and had to pay extra charges for zoo entry, whether we liked to see it or not. These charges of $16 per person were never mentioned at the time of booking.There were 3 of us staying, all adults, and we'd seen plenty of other zoos with sad-looking caged animals before. We'd paid for two nights but left in disgust after one night. When I asked for a refund for the second night the owners refused and to add insult to injury they harassed us for the zoo entry fees!!! Don't go there. 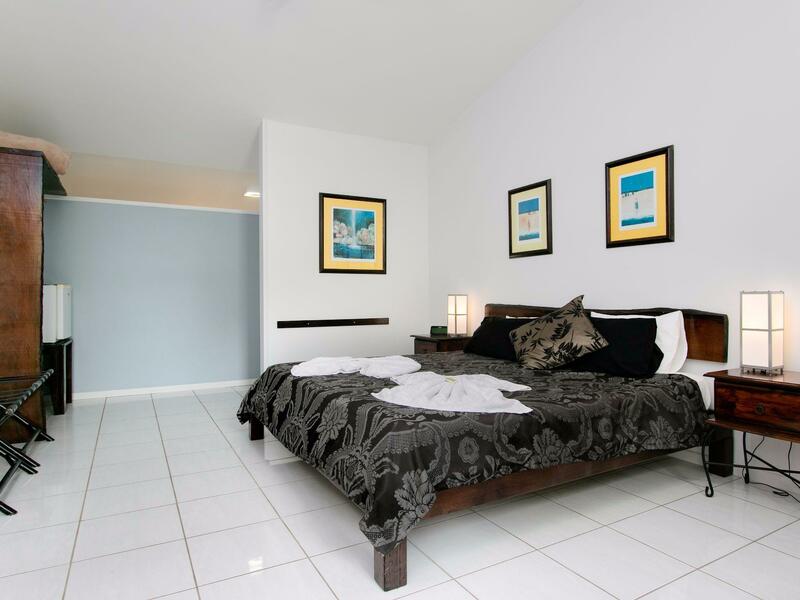 It offers camping grade facilities and should be no more than $50 per night. Friendly place to stay and explore the region. Enjoyed the wildlife and the recommendations. Highly recommend and would stay again. thanks. We had a good stay at this bnb. When we arrived in the evening we were offered to have a Barbecue consisting of a variety of meat and veggie options, which we gladly accepted and enjoyed the evening with the other guests and the owners. 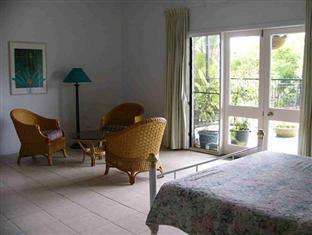 The room is spacious and clean and has a Veranda from which so can even pet Wallabies. Breakfast was nicely arranged including homemade Honey and Mangojuice. We can recommend this place. Booked the Kingfisher room months before and sent email through hotel website to confirm number of beds in room with no return reply. All photos of room showed two double beds so I thought all would be fine. When we arrived at hotel just before 9pm the owner/manager was all in a "huff" even though we had called prior to dinner to let them know we would be a late checking in. He went on to complain about having to hire someone to sit at the desk and wait for us at $20/hr. He then indicated that our room would not accommodate 4 people and had a shared bathroom with others. We saw no other cars in the car park nor any other people.... He proceeded to up sell us to a room costing more and a second room....ending the whole speel with an offer of a beer to make amends. We later saw he had charged us for the beer on the hotel bill! We got the impression that his wife usually runs the show but she was out of town visiting their new grandchild....I think things would've gone much smoother if she was there. The location in the zoo was a good thought but after touring the zoo it became evident the animals were not happy and was quite depressing. good experience staying in a room inside a zoo, many friendly animals just outside the rooms you can touch and pat. nice walk around the zoo gardens. 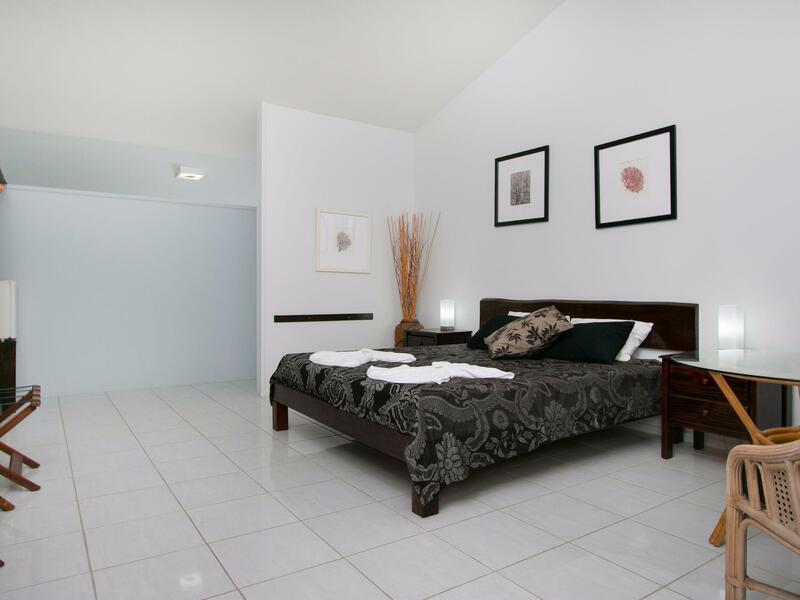 the rooms are basic but adequate and clean. staffs friendly and helpful. This was by far one of the coolest places I've stayed at! The fact of being connected to the zoo and getting to walk around at night and then the next morning I wouldn't have traded for anything! I felt like the place was just for me and spent much more time there the next morning than I had planned and had to finally leave to do all the other things in the area. The staff were super friendly and breakfast was perfect for setting me up for the day. Loved the open air area they had for that and got to still see the animals wander around. Hands down anyone that is in the area should stay here! I didn't stay. I walked out. It was substandard accommadations. 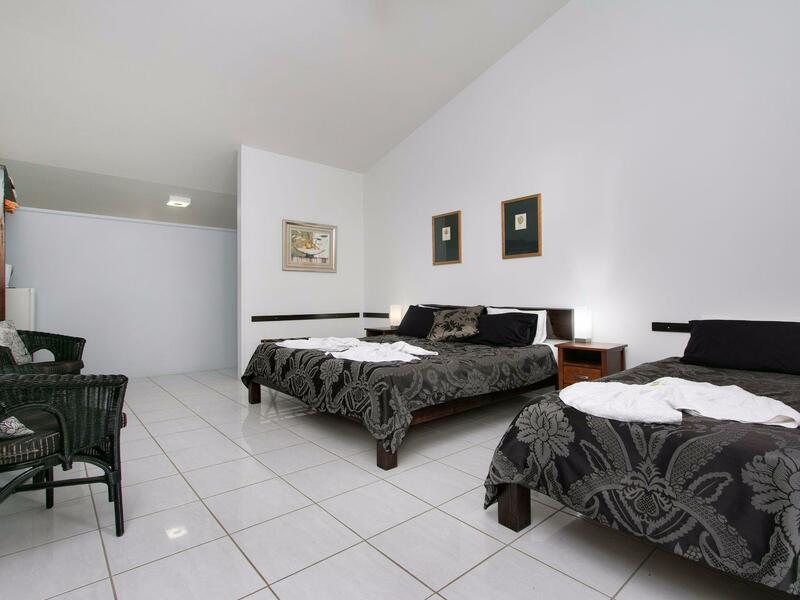 There was not much in the way of "extras" in the room but it was comfortable and clean, as were the shared bathroom and toilet. The owners were very friendly and accommodating and happy to have a yarn. It was pretty wonderful to be able to wander around with kangaroos and other wildlife. I was just a bit concerned about some of the birds in cages, they didn't seem to have much room or things to keep them amused. The grounds were spectacular and I enjoyed the breakfast. I got a nasty bite from a wallaby who had a bit of a 'stand over attitude'. If this is the usual behaviour of this wallaby maybe it might be better to have him in one of the enclosures, if he bit a child the owners might have some legal issues on their hands. Excellent experience with 24 hour (half price)zoo access being unique with plenty of crocs, birds roos emus cassawarys lizards snakes etc to look at. No need to take alternative Daintree/river croc viewing tour. Very good accommodation and excellent meals - barracota recommended. 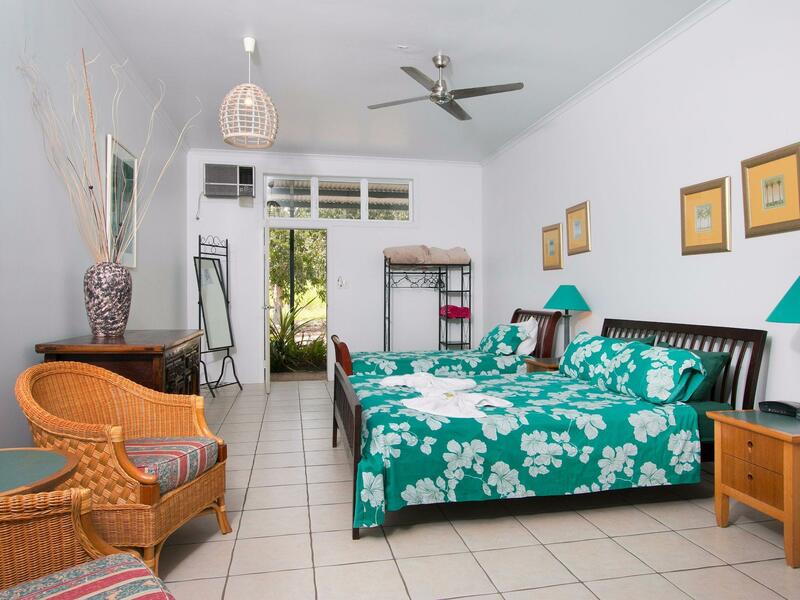 Top place to stay being 3 mins away from road junction to Daintree village (15 mins away) and the ferry to cape tribulation 4 mins away. What a great stay. 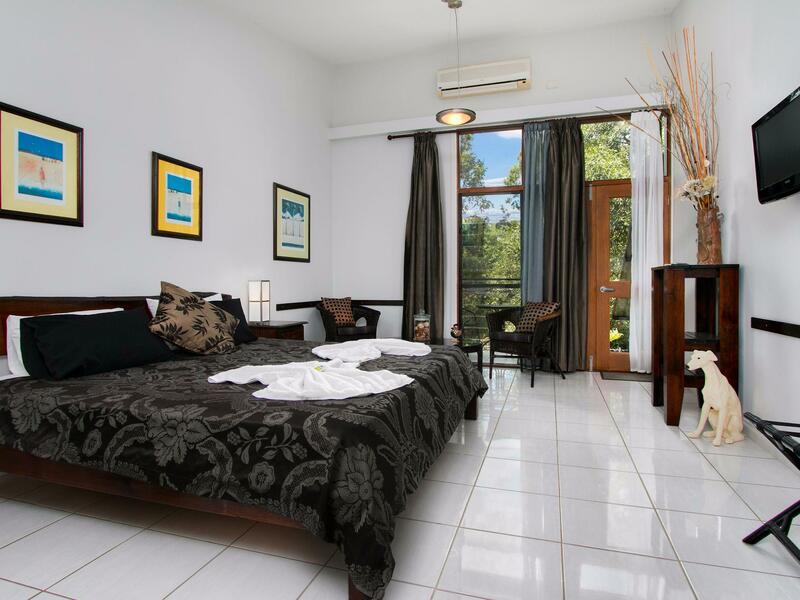 Room and bed were huge, with lovely en suite bathroom. Took several trips around the zoo, accompanied by young emus and a playful kangaroo or two. Guests can have dinner in the restaurant if they wish, and the food we had was excellent. Hosts Donna & Gil were very friendly and helpful and we thoroughly enjoyed the two nights we spent there. very nice good vaule for money, friendly, would recomend. Amazing!! The best experence we had in a hotel!